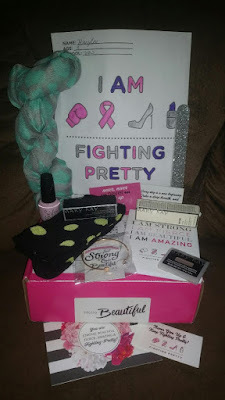 Being Frugal and Making It Work: Fighting Pretty ~ Helping Women Battling Breast Cancer Feel Strong & Beautiful! Their mini pink boxing gloves represent strength and hope. When Fighting Pretty founder was diagnosed, she was given a pair by her best friend’s mother — also a cancer survivor. They hung on her bedpost every day. 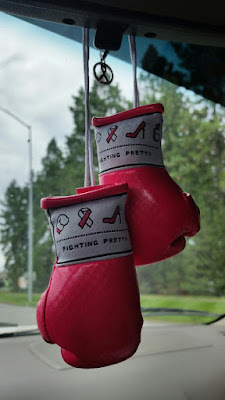 When her fight was over, she passed them on to another survivor, who also passed them on... my mini pink boxing gloves have been hanging from the rear-view mirror in my car since I got them! The mini pink boxing gloves are a reminder to every strong woman fighting the battle of her life to never give up! And when they are healthy enough, and their fight is over, they can pass the gloves on to another strong fighter! The whole idea behind the signature mini pink boxing gloves is to pass them on to another fighter once you are ready to pass on your strength! How awesome is that?! Like her, through the battle of my life, I found the most amazing support system! We want to help you feel beautiful. See the beauty in everything. Women want to feel beautiful. At no other time do we feel less so than when we are battling a major illness like cancer. 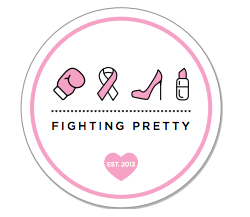 Fighting Pretty helps women battling cancer feel strong, beautiful, pretty and confident — inside and out — every day. We are committed to helping women of all ages, battling any type of cancer and work to ensure that each and every one of them feels loved and supported. 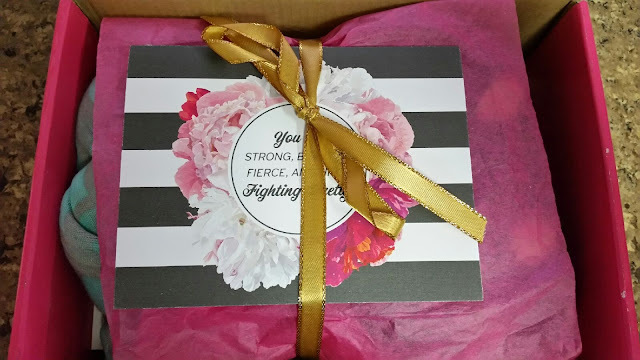 You can request a Pretty Package for someone you know fighting cancer! You can have your children color pictures for those women Fighting Pretty! You can become a sponsor! You can join their mailing list! Never Give Up & Keep Fighting Pretty!